BIAC hosts the following junior programs for middle school and high school students. 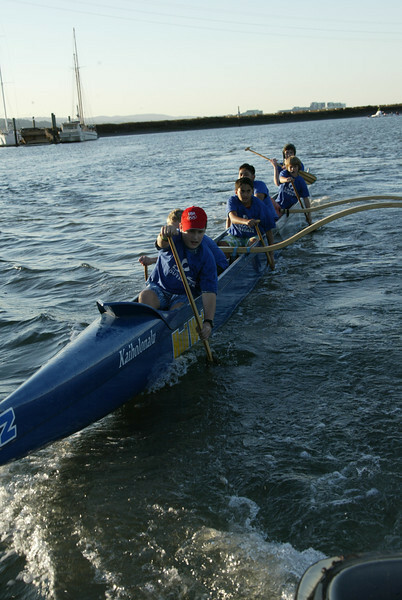 DieselFish Youth provides an opportunity for high school dragon boat club or individual youth paddlers, ages 12-18, to join in the rich history of dragon boating in a fun and friendly atmosphere. Youth paddlers enjoy team camaraderie, physical activity, outdoor adventures, new friendships and cultural experiences. Team practices are free and are held year round on Saturdays from 10:00 am - 12:00 pm at BIAC. Paddlesports are some of the fastest growing sports worldwide. BIAC's junior paddlers program, for students in Grades 6-12, holds practices from April through November. Juniors paddle in 6-person Outrigger Canoes (OC-6's), and may advance to OC-3's, OC-2's, and OC-1's. Paddlers also get the chance to try Surfskis, Olympic Flatwater Kayaking, and Stand Up Paddling. The program covers basic skills for canoeing and paddling, including forward strokes, maneuver strokes, safety and rescue. More advanced lessons include balance drills and racing skills. Students should wear shorts/board shorts, a t-shirt, water shoes or flip flops, and a lightweight wind jacket. For participants with limited swimming proficiency, a PFD is worn at all times. For more information, contact Mike Martinez at mikem@wavechaser.com. To join BIAC's Junior Paddling Program, click here. 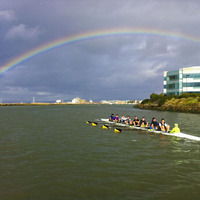 Norcal Crew is a nonprofit organization with the mission of providing opportunities for rowing instruction, training, and competition to middle- and high school students across the San Francisco Peninsula. Norcal strives to provide a comprehensive training program to strengthen its student-athletes’ personal development. The team’s goals are to foster a sense of team spirit by helping athletes develop both physical and mental strength; to broaden their horizons as they learn to trust and support teammates; and to develop their sense of confidence and commitment. Applicants should contact this program directly about membership. Junipero Serra Crew is one of many sports offered at Junipero Serra High School. The primary season for competitive racing is during Spring Semester; freshmen, sophomores, juniors, and seniors are welcome to try out. First year athletes may try out for Novice Crew, while experienced rowers must try out for Varsity Crew. Serra tryouts officially begin in January; however, first year rowers are encouraged to attend a number of introductory practices at the end of Fall Semester. Rowers must successfully complete a number of indoor technical and physical training sessions before they are allowed to attend a practice on the water. Athletes not participating in another sport are expected to be present for all Novice practices.